More than $30 billion is required to renew and replace ageing infrastructure in Australia, with the costs likely to continue growing, according to a new report. The Australian Local Government Association (ALGA) assessed data from more than 400 councils in its National State of the Assets 2018 report, which finds one in five local timber bridges are in poor condition. Large state and national infrastructure projects received a majority of state and federal infrastructure planning and funding, but now funding is needed to ensure local infrastructure can be brought up to a state of good repair in order to support national productivity and safety, according to the report. David O’Loughlin, President of ALGA, says the most alarming finding from the report was that despite good federal assistance and local diligence, the cost to repair the backlog of infrastructure has increased by $3 billion. “We are likely facing a new wave of infrastructure replacement demand, driven by the development of infrastructure from the baby boom of the 60s and 70s,” he explains. “Much local infrastructure was built in this period of significant growth, which means many are now reaching a point where significant structural or material repair is needed. According to the findings, nine per cent of sealed roads and 16 per cent of unsealed roads are in poor to very poor conditions. This could be in the form of cracks, potholes, a lack of proper line marking or sealing. Some local roads are also too narrow to carry modern vehicles. Local bridges in disrepair can lead to productivity issues for freight vehicles, as they may not be able to safely carry high productivity vehicles used for primary, secondary and tertiary producers. Timber bridges were in the worst repair, with around 21 per cent found to be in poor to very poor condition. In some situations, a timber bridge could be the only crossing, meaning larger vehicles would require a completely different and longer route. Under current revenue arrangements, the local government sector has no way of paying the billions of dollars required to repair and upgrade its infrastructure, the report finds. Cr. O’Loughlin says councils are doing their best to bring these bridges up to a reasonable condition, but the scale of the problem is beyond their current resources. 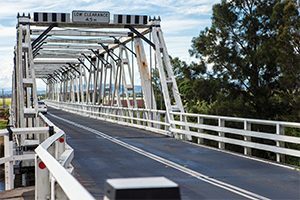 “The Bridges Renewal Program has proved to be a very successful and important partnership between the Federal Government and councils to improve road safety and freight productivity,” he says. The program plans to provide local governments with $480 million of funding from the 2015-16 financial year to the 2021-22 financial year, with an ongoing commitment of $60 million each year following to upgrade and replace bridges to facilitate higher productivity vehicle access. Funding is available up to a maximum of $700,000 for one bridge or $1.4 million for two bridges in the same local government area, with the Federal Government contributing up to 50 per cent of the total project cost. However, this program isn’t enough to meet the demand. 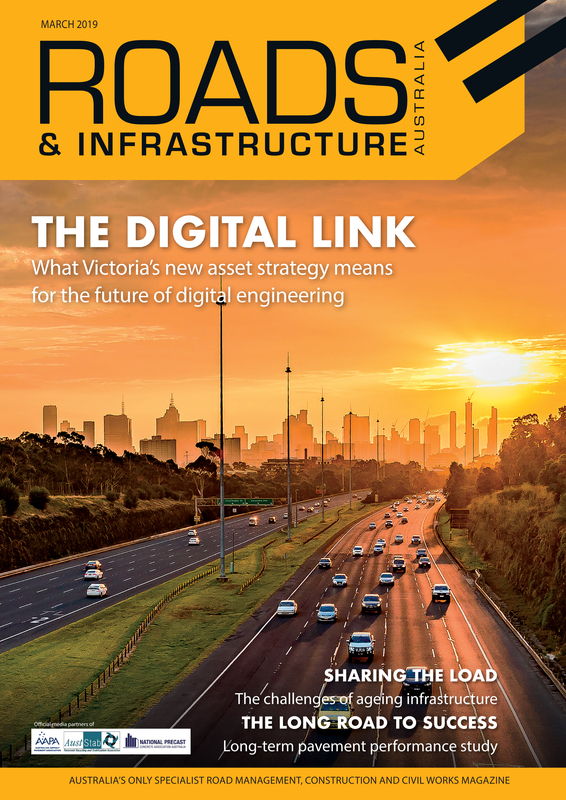 As metropolitan councils often have more rate payers and smaller road networks, a significant amount of regional councils don’t have the revenue sources to fund maintenance works for extensive road asset portfolios, the report finds. One potential source of funding for local governments to upgrade infrastructure is through the Federal Government’s Financial Assistance Grants. These grants are separated into two components for general purpose and for local roads, distributed between the states and territories, according to populations and fixed historical shares respectively. Cr. O’Loughlin says there has been a steady decline in funding from the grants over the past 20 years, falling from one per cent of Federal Taxation Revenue in 1996 to 0.55 per cent today. He adds that this fall in funding has been most acutely felt in regional and remote councils. “The Bridges Renewal program helps tackle the backlog in fixing bridges, but a fairer share of Commonwealth taxes is vital to restoring sustainable levels of funding in the longer term, particularly for our regional and remote communities,” he says. He adds a key factor in maintaining local infrastructure is through the proper implementation of asset management plans and good long-term financial plans. Around 18 per cent of the councils that participated within the report said they either did not have road asset management plans in place or they were out of date. Additionally, while 97 per cent of local governments had said they had a long-term financial plan in place in 2013, the report finds this number had declined to 81 per cent in 2017. As local governments are often asset intensive organisations, poor infrastructure planning can carry long-term financial impacts. New or upgraded local infrastructure built to meet community expectations often will not provide additional revenue to the council and will depreciate over time. Each new asset means a local government will need to fund the additional operating and maintenance costs associated with it into the long term, according to the report. To help local governments manage infrastructure planning, the report recommends the installation of an ongoing program that audits local government’s asset and financial plans to understand their currency, update frequency and maturity. “This need not be costly or complex or require additional auditing analytical skills. Instead it could simply assess whether up-to-date plans that meet minimal legislative requirements exist,” Cr. O’Loughlin says. “There is no doubt that our local transport infrastructure are long-term assets and we need to ensure these large cost items have a more managed approach.